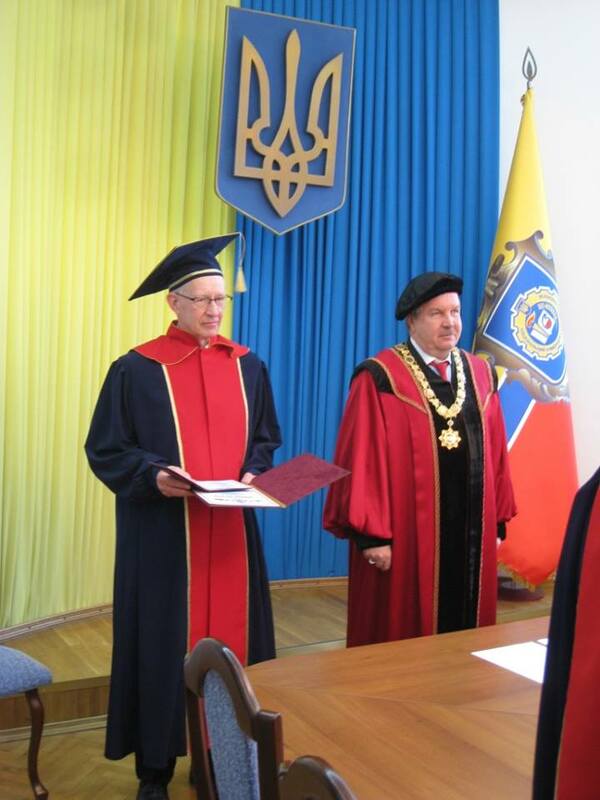 The National University of Food Technologies (NUFT), on the occasion of its 130th anniversary, IUFoST Adhering Body in the Ukraine granted Huub Lelieveld the title of Honorable Doctor of the National University of Food Technologies. In the laudation, the Rector Sergiy Ivanov expressed appreciation to all the work that he has done for Ukraine and the University. The Rector stated, that while University professors work 24 hours for the University, honorable doctors are supposed to work 48 hours for the University.